Clashes in Iraq have resulted in casualties and injuries, as law enforcement deployed tear gas against thousands of supporters of influential Iraqi Shiite cleric Moqtada al-Sadr, who were staging massive protests near Baghdad’s Green Zone. 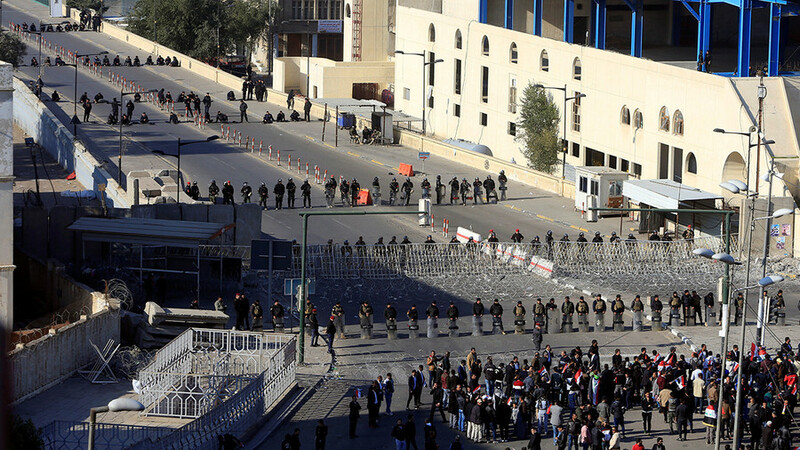 At least one police officer was killed and seven injured in the mayhem in Iraq’s capital, a spokesman for the Iraqi Interior Ministry has confirmed, Reuters reported. Among protesters, at least four fatalities are reported, Al Jazeera said citing Baghdad’s governor. At least eight people were killed and nearly 360 injured in Saturday’s protests and clashes, Al Ghad Press reported, citing medical sources. The dead and injured were delivered to several hospitals in Baghdad, the source claimed, adding that victims had been teargassed and injured by rubber bullets. 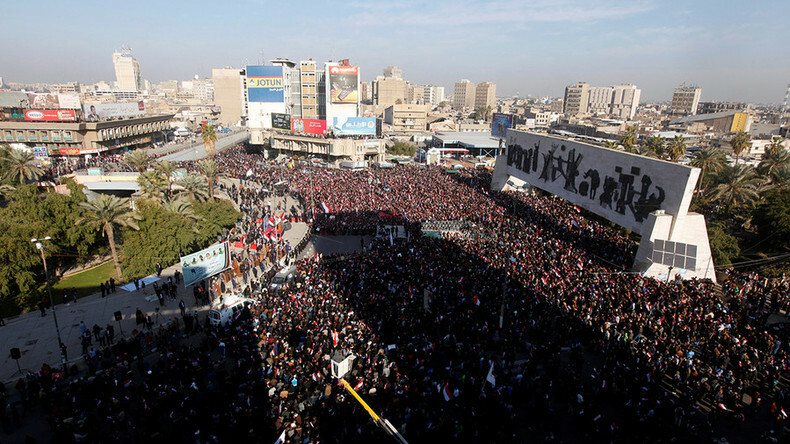 Protests against corruption, which are also demanding changes in the Iraq’s current election laws, took place Saturday in the center of the Iraqi capital for the second consecutive day. Similar demonstration took place on Wednesday. — Rudaw عربية (@rudaw_arabic) 11 февраля 2017 г. After the protests, Arabic media reported heavy weapon fire on the Iraqi capital. "Several rockets or mortars" landed on Baghdad's Green Zone, Al Arabiya reported, citing its correspondent. Two rockets landed in the highly-fortified area of the city, AP reported, citing Iraqi security officials, who spoke on condition of anonymity. It is not known if there are any casualties following the reported strikes. The Green Zone, which is also known as the International Zone of Baghdad, is home to the Iraqi parliament, government buildings, and many foreign embassies. A local activist and journalist posted a photo of one of the alleged victims. 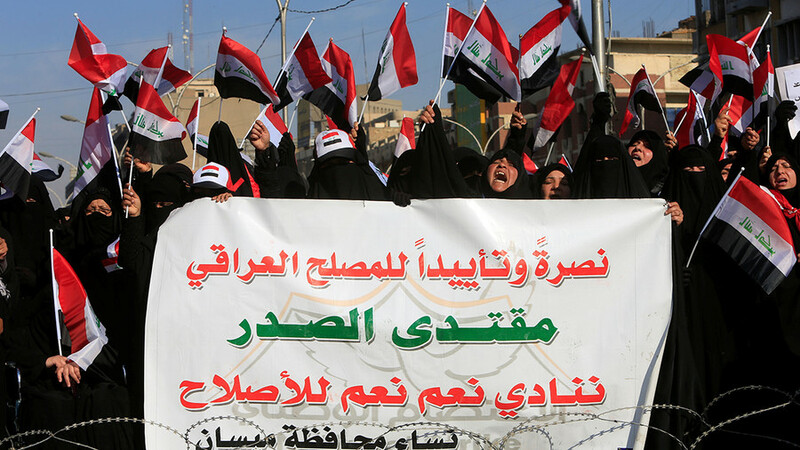 Iraqi Prime Minister Haider al-Abadi called on the participants in the rally to “abide by the law,” Reuters reported. Last year, thousands of the cleric’s loyalists staged two major protests just outside the heavily fortified Green Zone. 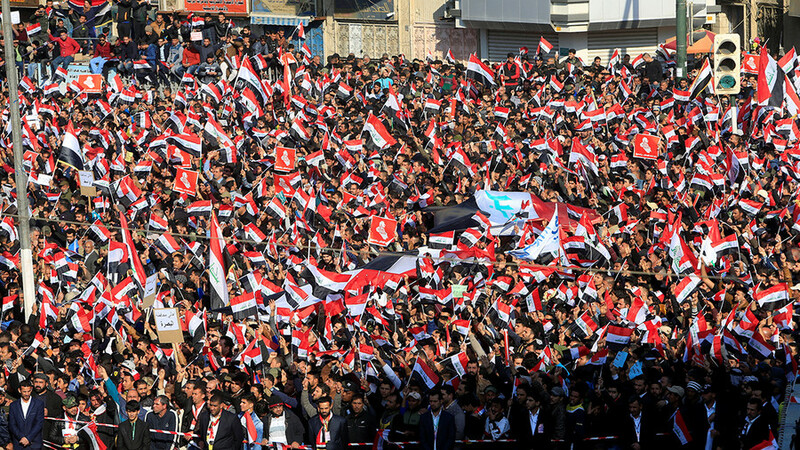 In April of 2016, crowds entered the parliamentary building in the Green Zone, prompting the authorities to declare a state of emergency in the Iraqi capital. Al-Sadr became a prominent figure after his so-called Mahdi Army fought US troops during the 2003 invasion. The Iraqi army was dissolved in 2008 and replaced by the Peace Brigades.